Correct tightening of the twin lockstitch assumes that the knot is inside weave sew materials. 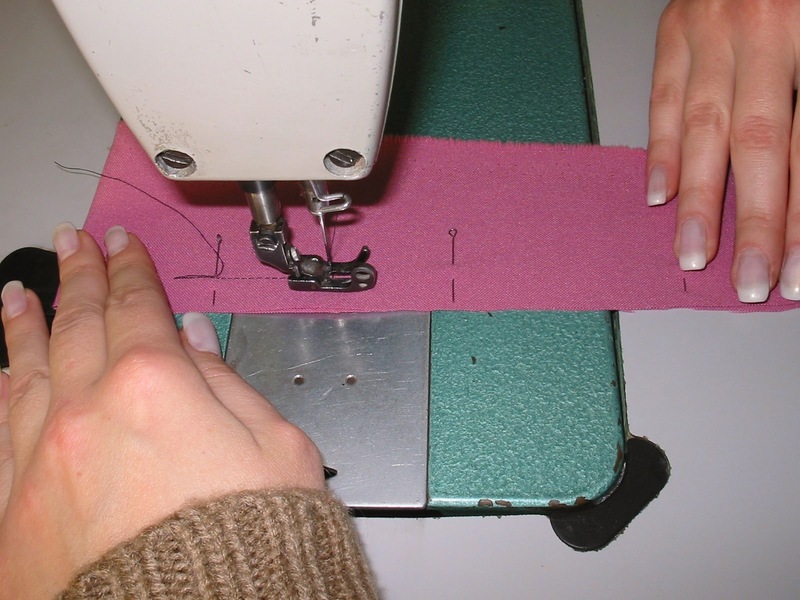 Improper tightening of the knot goes on the bottom or the top surface of the sewn parts, may form a "beard". If the knots of the weave visible on the surface of the top layer material,this means that the lower thread Satanta enough, and the top is redundant. or bottom thread (by twisting screw spring tension of the thread on bobbin case cap). Important: if excessive tension on both strings have a knot weave within the material, but by the line of stitching may be tightness, especially in soft materials. When there is insufficient tension on both lines there is another defect - "toothy line" when stretched across the connection between the parts visible gap. Instead of smachivaniya the time the paving machine stitch the parts can be fastened with pins. In this case, the pins are injected across the line for future connections so that they are easy to remove (for example, left hand). 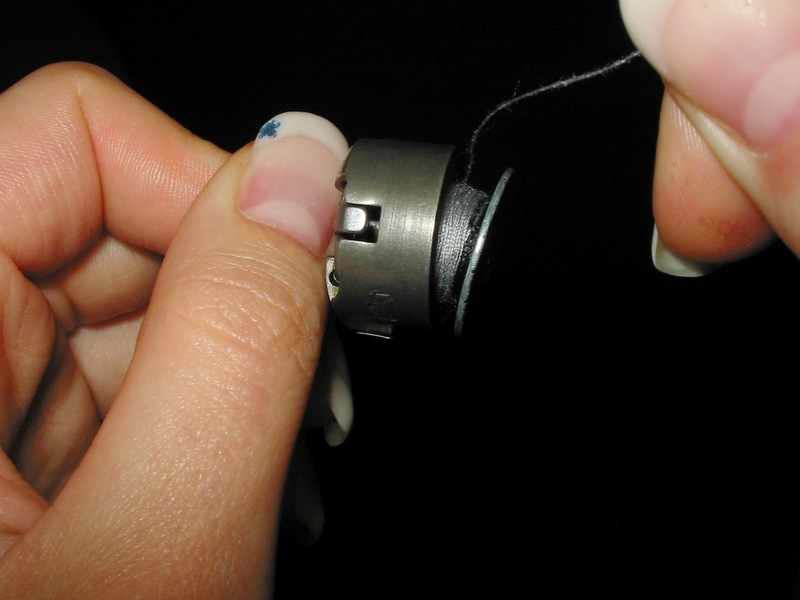 In some cases, the pin can not get out of the fabric before the presser foot the needle will slide right off it, performing a normal line. In most universal sewing machines when stitching long sections going to Board the bottom layer. The cause of the landing is solid contact of the lower layer of material with the tines moves the slats and braking the top layer of the sewn material presser foot. In some cases, when handling the valve or collar, with landing - this feature is used for normal distribution of planting machined parts. pre-smatyvay or chop off slices. to use the machine non-stop stitching (with the mechanisms for moving materials VI a lower toothed rack and moving the needle or sabatai the bottom rail with the top of the gear legs). 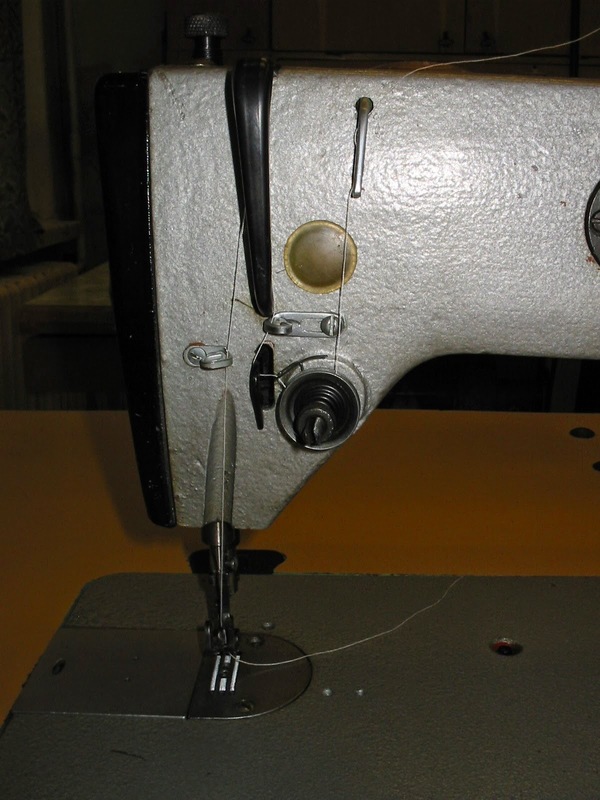 The easiest machine to assemble without special devices is the following: increase the stitch length to 5 mm, loosen the upper thread and stitch a line of 7-8 mm from the cut edge, which is planned to build. Then you need to pull the slice to the required length.